Lights. Camera. Action. Easy-to-follow instructional videos make getting started easy. Need some vaping coaching? Want to have an in-depth view of our products before you purchase? Have a look at our instructional videos, designed to help guide you if you're in need of a visual demonstration. Sometimes you need more than reading a manual full of instructions; and that's exactly why we've produced these videos. Not to brag or anything, but we think our videos are pretty awesome, too. We hope our videos offer some insight, some direction, and help you figure things out when you need it. And of course, if you have a recommendation for a new instructional video, please let us know and we'll create one. 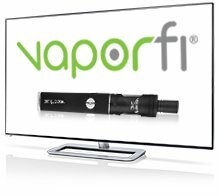 Getting started with your VaporFi Tank – refilling, changing atomizers and more. Get $10 off delivered to your inbox! Free shipping on orders of AU $350 - Expect super fast processing with a rapid turnaround. Order will be shipped within 24 hours.